Chris Messina cast as serial killer Victor Zsasz in 'Birds of Prey' movie – AiPT! In Birds of Prey, Zsasz will be working with Black Mask. According to Deadline, Sharp Objects star Chris Messina has been cast as serial killer Victor Zsasz in the upcoming film Birds of Prey. Most recently, Messina played Detective Richard Willis in the HBO series Sharp Objects. 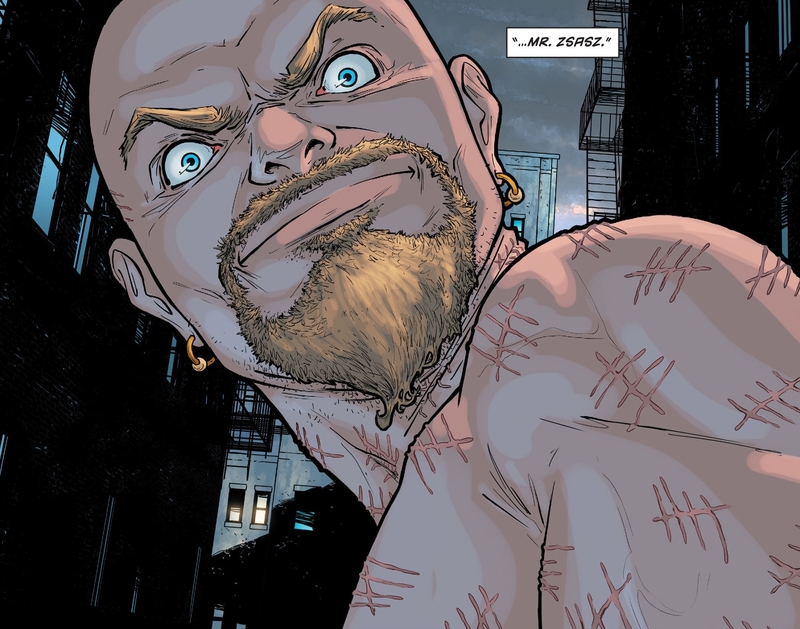 In DC comics, Victor Zsasz plagues Batman by killing people throughout Gotham. Most notably, whenever he kills someone, he carves another mark onto his body to represent that killing. This is the third live action iteration of Zsasz, with the first being when James lead singer Tim Booth played him Batman Begins. Anthony Carrigan currently plays him in Gotham. In Birds of Prey, Zsasz will be working with mob boss Black Mask, as played by Ewan McGregor. Birds of Prey is directed by Cathy Yan and is to be released February 7th, 2020.